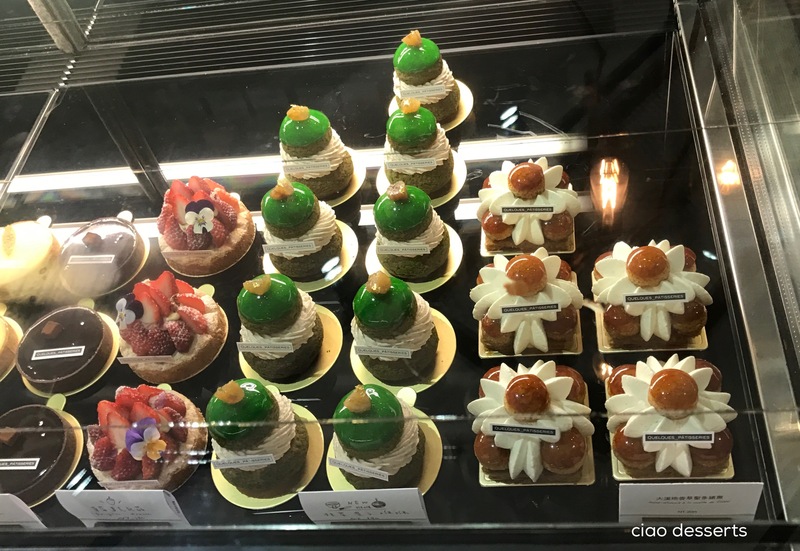 After several weeks of travel posts, I feel like I’m ready to come back to reality and tell you more about desserts that can be found in Taipei. I keep mentioning this, but since I see no sign of improvement, I think I will have to keep going on about it–I am, probably the most directionally challenged person in the world. One day, I will learn how to use Google Maps, but until then, I mostly just rely on landmarks and wild guesses. This is a bit challenging in Taipei, which I’m sure has one of the most complicated alleyway systems in the world. Of course, this doesn’t stop me from going on wild goose chases whenever I have time. Especially if the end of the chase involves the promise of desserts. 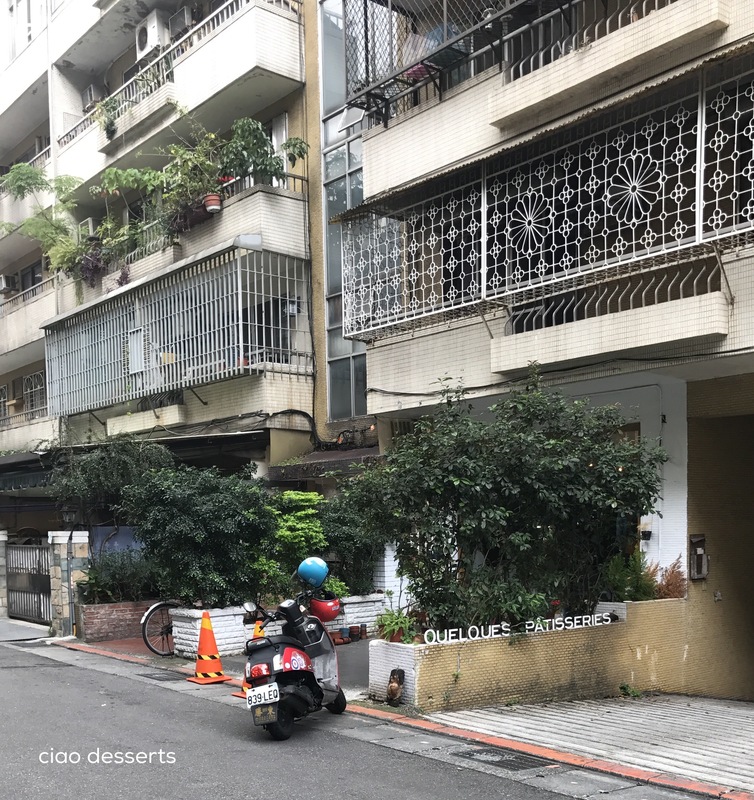 My latest chase was in search of QuelQues Patisseries (某某甜點) After about 15 minutes of aimlessly wandering the small side streets, I finally found it! 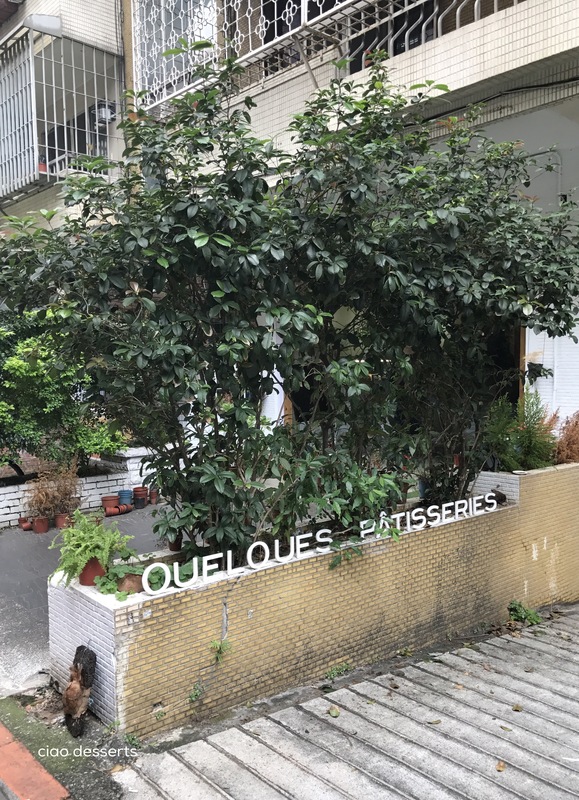 QuelQues is located in a residential neighborhood. The most straightforward way is to come out of Xinyi Anhe MRT station, Exit 2, walk across the street, towards the red brick building, and turn left when you see the sign for Mentor Hair. 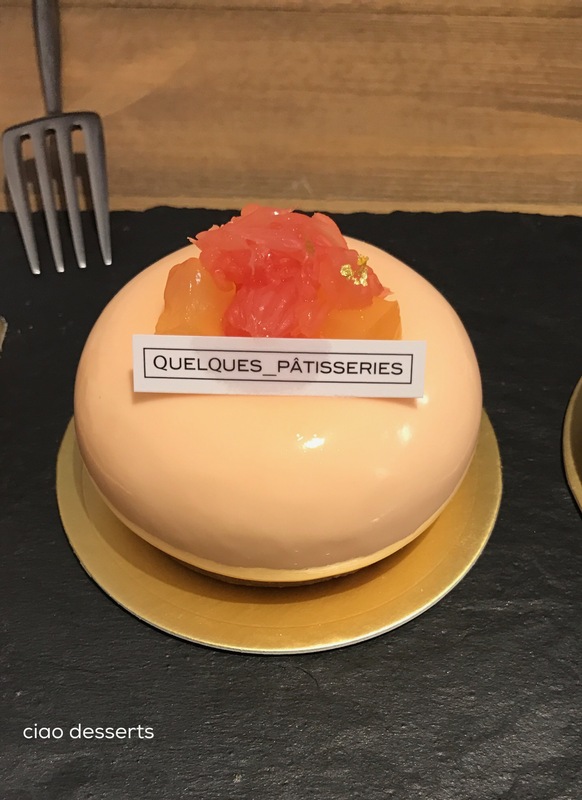 During my visit on a weekday afternoon, QuelQues was filled to the brim. There was a wait to order takeaway pastries, there was a wait to eat in. (This photo was taken right before I left, around 4:30, and the both the crowd and pastry case had thinned considerably by then). In order to cut down on some of the anxiety, at QuelQues, you can do the following: (1) Put your name on the waiting list for a table. 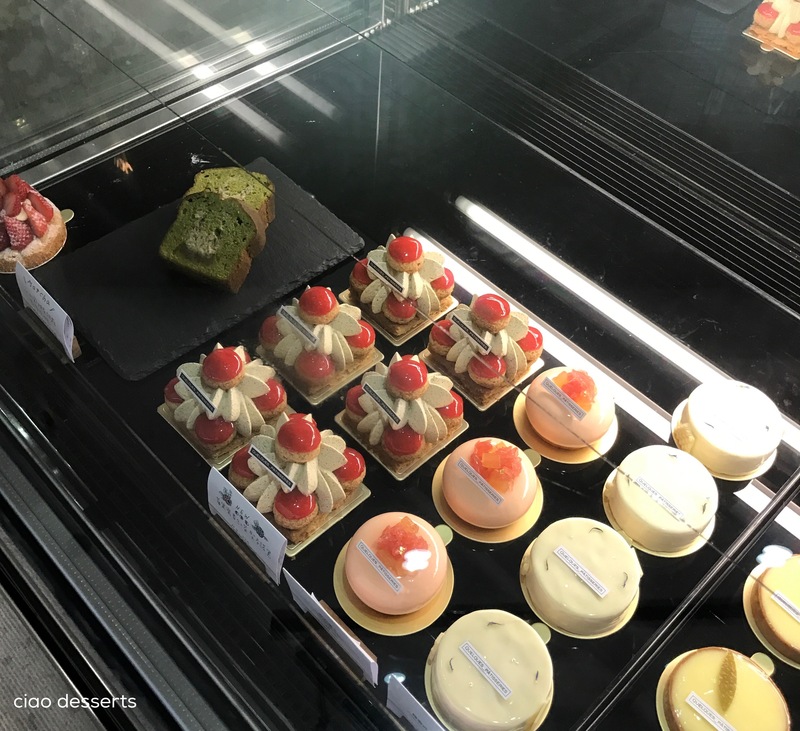 (2) Then choose, order and pay for your desserts first. (3) Wait patiently for a table to become available. That way, you can make sure you get exactly what you want before it sells out! What is there to do during the wait? Jostle for position to take photos, of course. 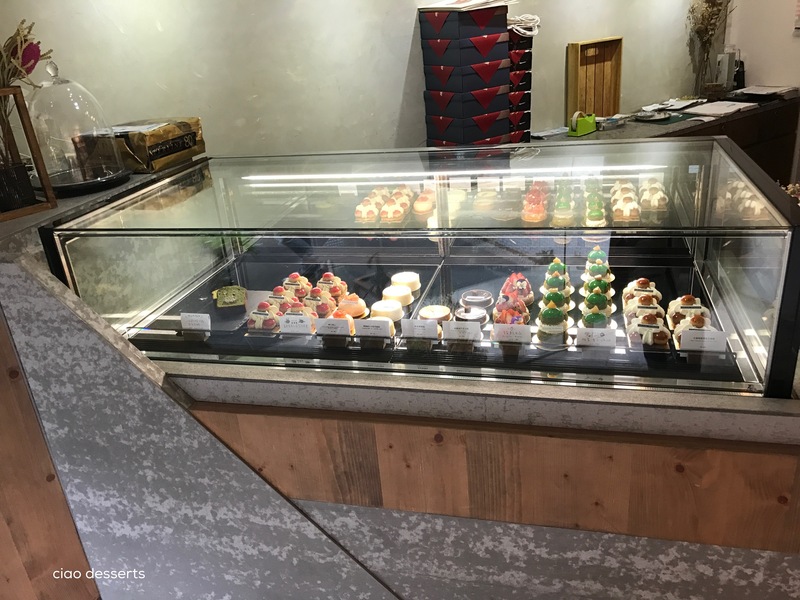 Believe it or not, it took SO long to get an unobstructed view of the pastry case. There was a steady stream of customers, and people oohing and ahhing over the selection. But I can’t say I blame them, because the pastries are so beautiful. Just looking at the photos now, makes me want to put my shoes on, and dash out to buy a few of them. The cafe is also an exhibition space~ there were several different dried flower arrangements to admire during the wait. The rest of the interior is fairly sparse, with concrete floors and wooden accents. Once seated, you are offered a menu, so you can choose a drink to go with your dessert(s). 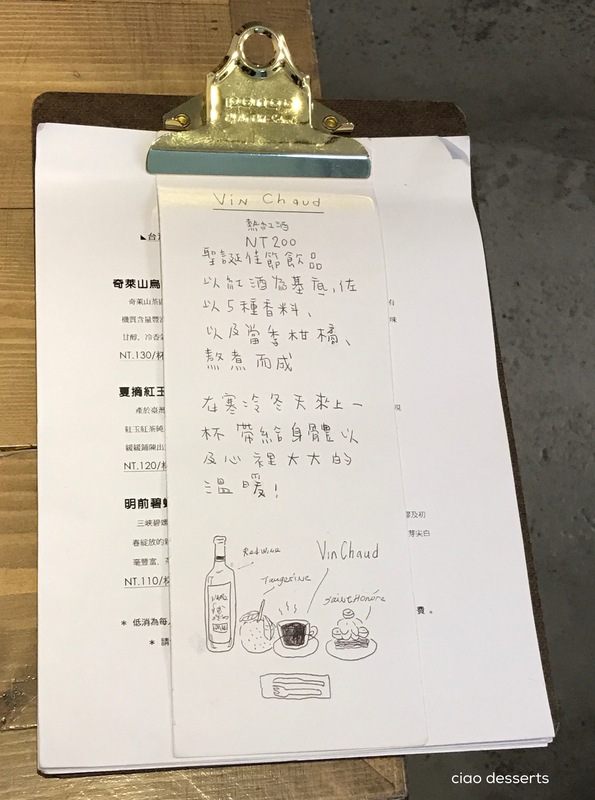 The menu is a clipboard of printed sheets of paper, except for the top sheet, which details their special drink, Vin Chaud. I love the little drawing too. Between the two of us, we ordered four pastries (gulp!) But it was a special occasion, and we decided to just go for it. Each of them were perfection. 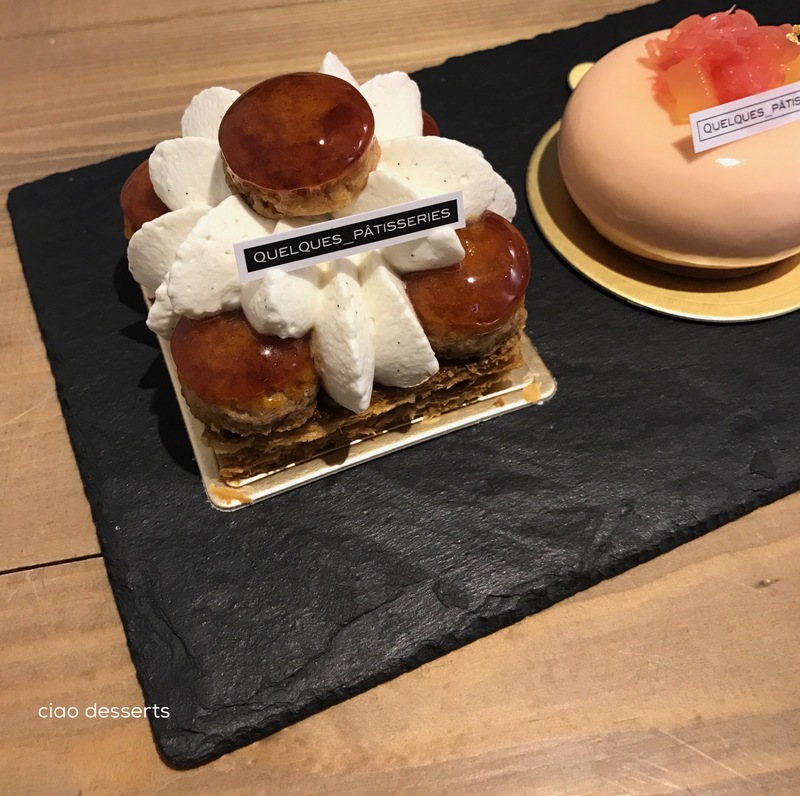 The Saint-Honoré is one of their signature pastries, and it is a heavenly cloud of Tahitian vanilla bean flavored cream. The most distinctive one of them all, is the Oriental Beauty (東方美人) ~ which is delicately flavored with Oriental Beauty tea, and grapefruit. It was an astonishingly delightful pairing of flavors. 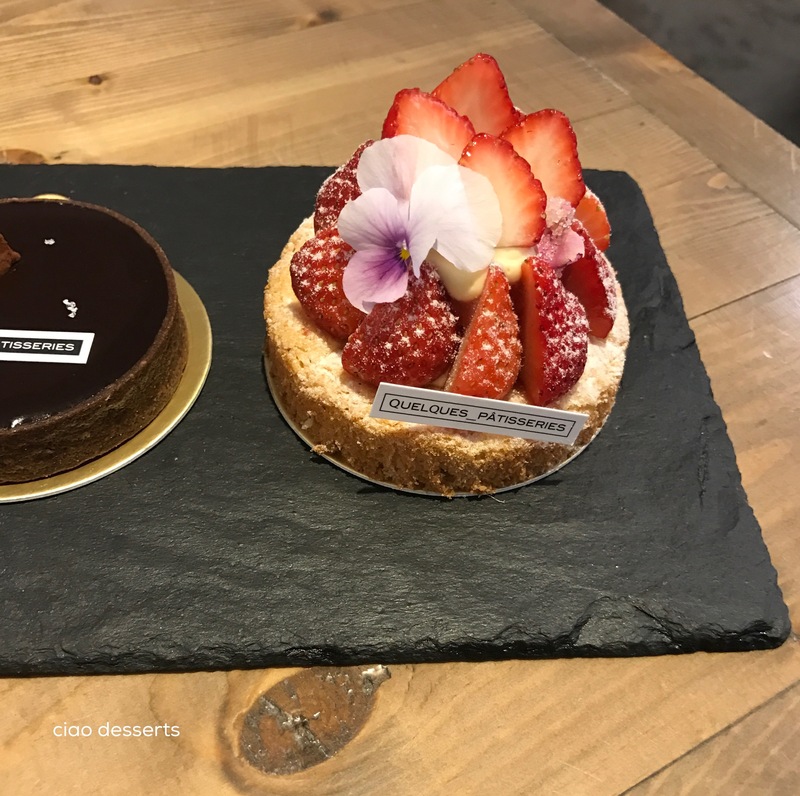 This chocolate tart is also flavored with tea (Tieguanyin) The chocolate flavor was intense, with just a hint of floral flavor from the tea. One of my favorite fruits in the entire world are strawberries. 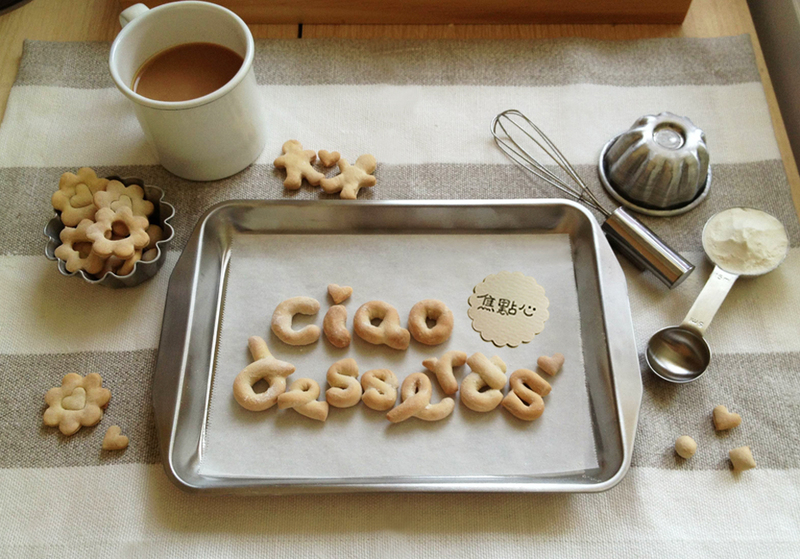 I love them on desserts of all kinds. The strawberry tart here at Quel Ques was no exception, and the berries were fresh, and sat on top a light and refreshing custard. I think QuelQues may be my place to take out of town friends. 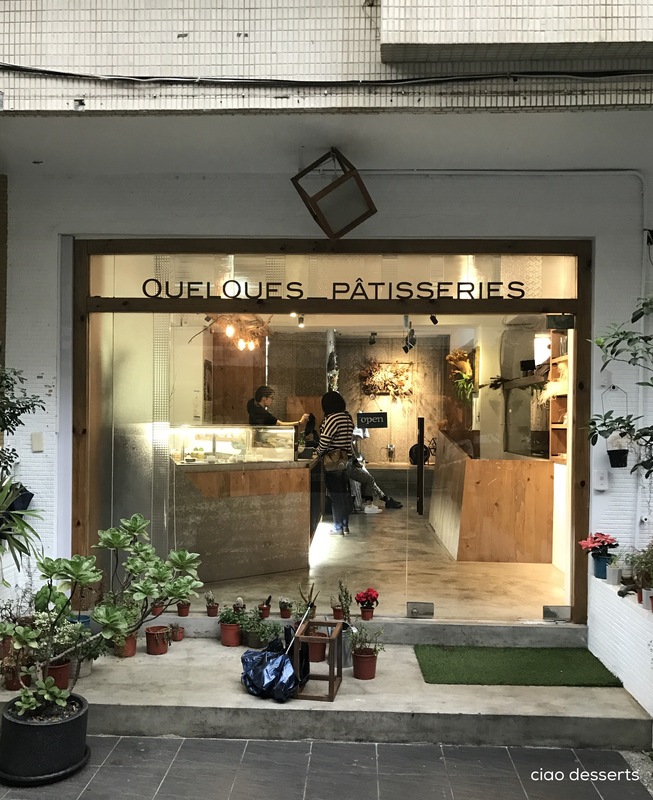 Since it’s a little off of the beaten path, a ways off from the more commercial, glitzy side of Taipei, QuelQues feels like one of those neighborhood shops that you would only know about, if you have lived in Taipei for a long time.